Tokyo, April 5: An earthquake of magnitude 5.8 on Richter scale hit Izu Islands in Japan region on Friday. The tremors were felt around 09:56 am local time. No casualties and collateral damages have been reported. Japan Meteorological agency has asked people to stay alert. More details are still awaited. This year in February, an earthquake measuring 5.8 on the Richter scale struck Japan's northern island of Hokkaido. According to the NHK, the quake occurred in the central part of the island at a depth of 33 kilometres. No casualties were reported. Meanwhile, Last year October, the island country was rocked by two earthquakes. 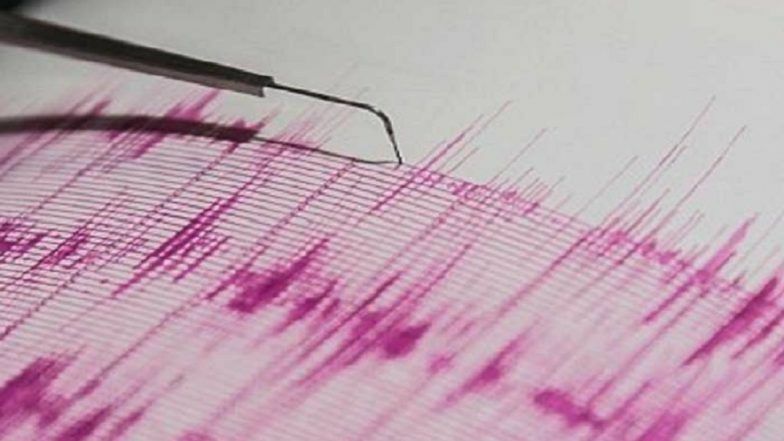 On October 26, an Earthquake measuring 5.6 on the Richter scale hit Japan's Hokkaido, while on October 23, an earthquake measuring 6.1 on the Richter scale jolted Japan's Okinawa prefecture.